Are toys taking over your home? Try these five true and tested method to avoid too many toys and embrace toy minimalism. What’s Wrong with Too Many Toys? I get it. Kids get wrapped up in fad toys, much like us adults sometimes get carried away with fad diets. But as a parent who tries to raise non-materialistic, environmentally-conscious children, this is a dilemma. I’ve always had a “less is more” attitude toward toys, but let’s face it; like many other kids in this country my children still have way more stuff than they need or use. In the great scheme of things, adding a couple of fidget spinners to the mix probably wouldn’t make much of a difference. But over time, all the novelty toys, birthday presents, holiday gifts, classroom rewards, goodie bag trinkets and various other gadgets that they’ve acquired over time start to pile up. Children are essentially pint-sized hoarders, so once that new toy makes itself at home in the toy box, it’s likely staying for the long haul. The clutter doesn’t bother my girls one bit, but the toy overload sends me straight to Crazy Town. I know I’m not alone. Articles about overwhelmed moms who get rid of most of their kids’ toys and consequently have an epiphany have become viral gold on social media, and more and more parents seem to embrace “toy minimalism” (yes, it’s a thing). For me, having less stuff is not primarily about having an organized home, but about fostering resourcefulness, discouraging instant gratification and minimizing our footprint on Earth. Many toys require batteries, are difficult to recycle and will sooner or later end up in a landfill ones they’re broken or the children have moved on to something else. Fad toys are especially bad, since kids put massive pressure on their parents to buy them, and their popularity typically wanes quickly. If your kids see something at the store that they’re just dying to have, try saying, “Let’s wait and see how you feel about it next week,” or even “Sure, let’s put that on your Christmas/birthday wish list.” I do this when I go shopping for myself as well, and find that when I mull something over for a while I end up not buying it nine times out of ten. Which means I probably didn’t need it that much to begin with. Toy fads, including the fidget spinners, are all about instant gratification. Too much of that and kids will have trouble developing patience, which can affect them negatively later in life. One way to encourage patience, and also give kids a sense of the value of money, is to offer them a job to do around the house or yard to earn the toy. When you work for something you tend to value it more – that’s true for both children and adults. Get one, give two away. Tired of the perpetual toy chaos in her small home, a friend of mine decided last year that for each new toy her children acquire, they need to choose two to give away. She says the new rule has worked really well so far. “It makes them think twice before asking for something,” she told me. And no, her kids are neither deprived nor at risk of running out of toys any time soon. My daughter’s kindergarten teacher has a treasure box filled with little toys that she uses for classroom rewards. But rather than filling the box with new things at the store, she simply asks the kids to bring in small toys from home that they’re no longer interested in. The kids couldn’t care less that the toys have already been used; they’re just happy to bring home something novel. Swapping toys can be done outside of school too – why not get some families together and find new homes for the toys that no longer strikes your child’s fancy? Rein in the holidays and birthdays. A few years ago, I started applying the four-gift method for Christmas and my girls’ birthdays. That means they get just four things each from me: something to WEAR, something to READ, something they WANT and something they NEED. I also encourage extended family to give experiences instead of things. Not only has this cut down on toy overload, it’s also made it a lot easier for me to manage holiday stress. As far as my daughters and I go, we’re still negotiating the fidget spinners. The other day was their last day of school, which more than likely will put a damper on the craze. With any luck, it’ll be all but over by the time classes start back up in August. 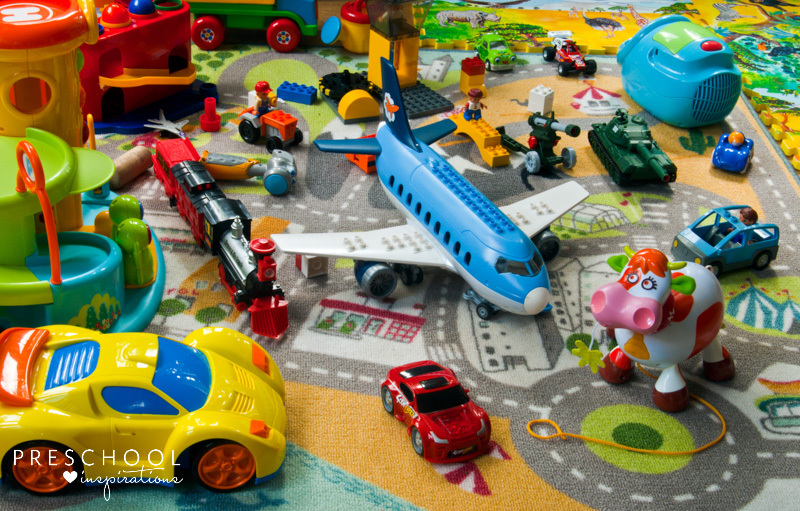 How do you prevent your home from being overrun by too many toys? Ot is really difficult when relatives insist on big plasti ctoys. We’ve done wishlists but they’ve been completely ignored! Hang in there, mama! I’m convinced the fidget spinner craze will come to an end.